There’s been no let up on the campaign from Canada’s auto workers union, Unifor, against General Motors. The union has vowed to fight a planned shutdown of the GM plant in Oshawa, Ontario, at the end of the year. GM says it’s doing what it can to help affected workers transition and find other jobs. The union took its campaign national by taking out ads during the Super Bowl to drive home its point, calling for a boycott of vehicles made in Mexico. The president of Unifor, Jerry Dias said 2,600 unionized workers will lose their jobs when the Oshawa assembly plant closes at the end of the year. Dias has met with Canadian political leaders and he’s travelled to Detroit to meet with GM executives to look for ways to keep the Oshawa plant open. So far his actions and those of Canadian lawmakers have failed to get GM to reconsider. It’s closing several plants in the US as well as the Canadian plant, and shifting production to Mexico. Dias said Americans should heed the boycott as well. GM tried to stop the ads by sending the union a cease-and-desist letter on Friday. But the union wouldn't back down. For its part GM says the closures are necessary because it’s switching production to manufacture more self-driving and electric vehicles. As for the workers, GM Canada Vice President Dave Paterson said about half of them - 1,300 - qualify for full pensions. As for the rest, he said, "We’ve been approached by a significant number of local employers in Durham region that have been offering to provide employment for any of the impacted workers." Paterson said those offers are coming from, among others, GM Dealers and Ontario Power Generation which is refurbishing its nuclear plant in the region. Paterson said GM is also putting up several million dollars to help retrain those employees. He said so far he’s identified about 2,400 of what he calls "good jobs" that have become available. But Jerry Dias insists his workers won’t apply and that GM should stick to making vehicles and not become an employment agency. And besides, he asked, why would any of them would want a job in GM dealership when many of those dealerships are going to go out of business? Dias said his fight will continue until GM agrees to keep the Oshawa plant open. 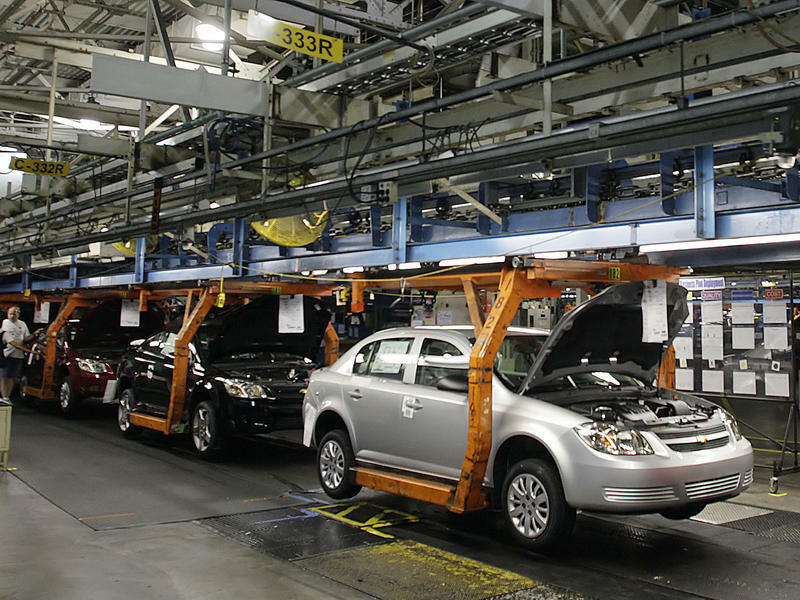 There is outrage and anger in Ontario over General Motors' decision to cease operations at its assembly plant in Oshawa, east of Toronto, at the end of next year. It’s part of the automaker’s global restructuring plan, which will also shutter four plants in the United States. Oshawa has been the face of the auto industry in Canada for decades and the plant's closure is expected to have devastating effects. General Motors' Tonawanda Engine Plant has been selected as the first of the automaker's plants to produce a new V-8 engine line that utilizes a cylinder deactivation technology that helps the engine produce only the power that is needed, in order to increase efficiency. Plant officials announced Monday it will result in the retention of 635 jobs.